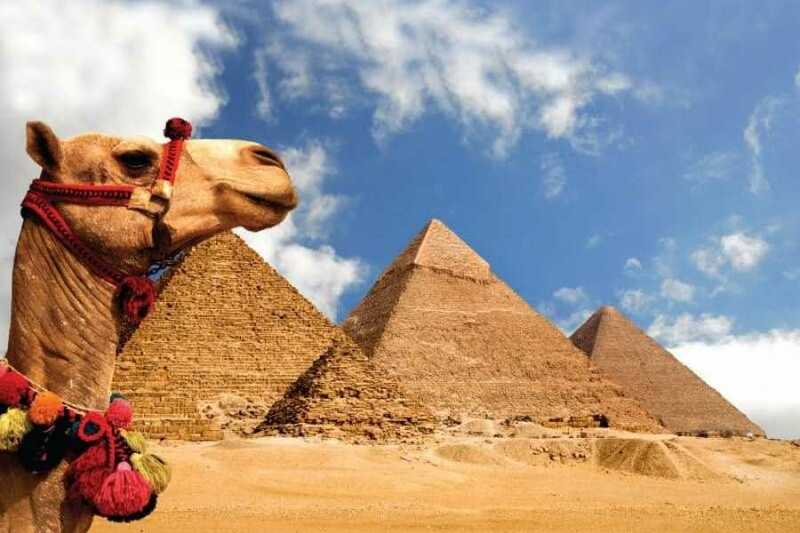 Visit the Giza pyramids and Sphinx by camel or horse on a private, half-day tour from Cairo, and experience the serene desert setting of Egypt’s most iconic monuments. Go face-to-face with the enigmatic sphinx, circle the towering Great Pyramid, and take in sweeping views to Abusir and the Sakkara necropolis. Your representative will collect you from your Cairo or Giza hotel at 8am and transfer you to the Giza Plateau for your private tour. At the stables, choose between a camel or a horse for your steed for the morning: whichever you choose, your group, be it large or small, will have a dedicated groom as well as an expert tour guide to ensure you enjoy the desert to the full. Even if you've never ridden before, these animals are well trained and make for a safe and comfortable ride as they follow their leader across the sands. Your private guide will demonstrate how to use the reins to control your steed, as well as how to mount and dismount safely. Now, enjoy the serenity of untouched desert. 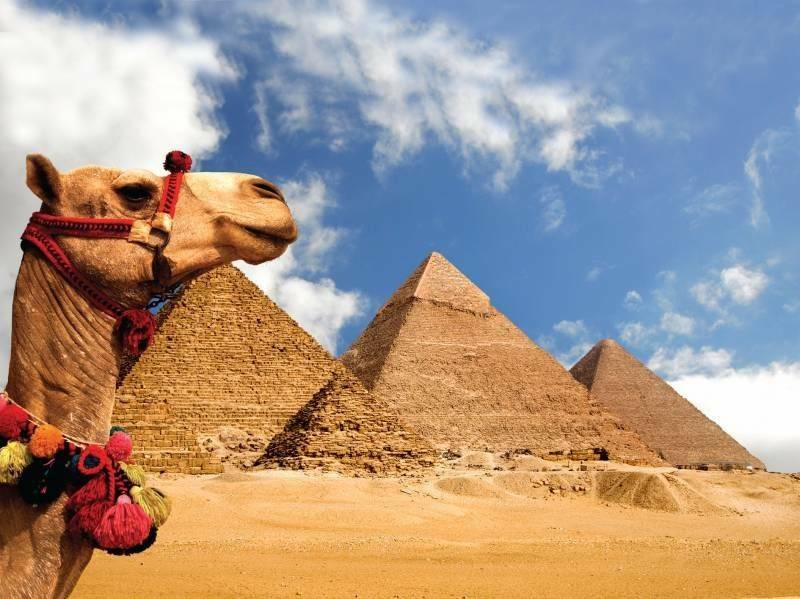 On a clear day, you may well be able to see across the desert to other famous pyramids, such as the Abu Sir pyramids, the Pyramid of Djoser at Saqqara, and the Bent Pyramid at Dahshur – whatever the weather, you're guaranteed spectacular views of the UNESCO-listed Giza Pyramids. On arrival at Giza, admire the three large pyramids of Khufu, Khafre, and Menkaure, and wonder at the enigmatic Sphinx, as your guide explains a little of the history behind these ancient tombs. From here, you'll be transferred back to your hotel, arriving around noon.